A multi generational class devoted to study of the scriptures and historical context of God's Word. Teaching is done on a rotating volunteer basis, and lessons alternate between Old and New Testaments. The diverse religious backgrounds and life experiences of class members make this a lively discussion class. Bible study based on a structured curriculum and open discussion. We strive to uplift one another, the Church and the community through love, encouragement and prayer. We welcome all ages, single and married. 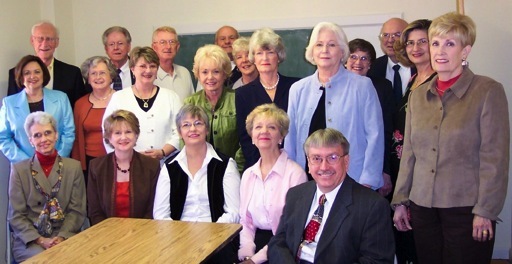 Co-educational Class of mature adults who enjoy lively singing, Christian fellowship, and exposition of the Scripture. We use the International Lessons Series as a basis for study. This "Good News Group" is a friendly, inquiring discussion-oriented class which shares leadership in teaching and which uses a variety of resources studying the Bible and looking at current life issues. As seekers we are a dynamic, diverse group on a common journey to become stronger Christians. We seek to develop close relationships, support each other and grow in Christian faith through Bible study and interactive discussions. 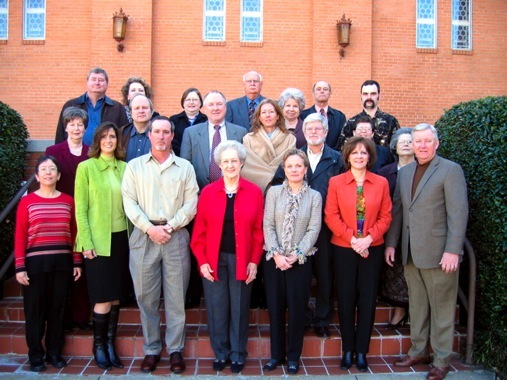 We serve as a port for members and visitors, and as ambassadors of First Christian Church in our community. Membership covers a wide variety of ages. A class oriented towards spiritual growth and increased knowledge of the Bible; we try to find meaningful and impactful ways to connect our faith to the 21st Century. Our materials are: topical, books of the Bible. We welcome a diversity of views and love engaging in discussion. We believe that we are on a journey together from one place to another.